the capabilities and pricing vary wildly between each. More and more organisations of all sizes are implementing or looking to implement DRaaS. Gartner estimates the DRaaS market will have tripled over the next three years to a revenue of $3.4 billion by 2019. It is now more affordable than traditional DR with more providers in the market offering improved services and providing competition which drives down the cost while delivering more functionality and capability. The number one aspect of DRaaS to look for is a provider that can meet the organisations expectations for recovery. While most DRaaS vendors will claim that they can run an application in their cloud, few provide exact details on either what the recovery process looks like, or how long it will actually take. “Instant”, it turns out, seems to be a relative term. The time to recover can range from minutes to multiple hours. A second thing to look for in a DRaaS provider is a well thought out fall-back strategy when the original data centre is restored to operation. Some providers have the ability to restore an application while the production version is running in their cloud and then do a “quick-sync” of data to push the final changes to the application. You could classify disasters as either major and minor. Planning for a major disaster is typically a high priority for most organisations. A major disaster involves the total inaccessibility of the data centre which is typically caused by some natural event like a hurricane, flood, fire or earthquake. These disasters are often regional in nature, impacting a wide variety of businesses. The other type of disaster is a minor disaster, impacting a specific application. These are often caused by a corruption of the application’s data, or a failure of the server or its storage. While not as dramatic as a wide spread disaster, these minor disasters are far more common, impacting businesses multiple times a year. Another important question to ask is what will the performance of the system look like when a disaster is declared? Many DRaaS service level agreements do not specify what the performance of the application will be during their hosting of it. This is a very important aspect of DRaaS to understand. Recovery is important and while exact production performance is not required, the application does have to be usable. Potentially the most confusing part of establishing a DRaaS strategy is understanding how the pricing structure will work. There are so many ways to present these costs that it can be overwhelming. such as calls and emails to the DRaaS vendor to initiate the recovery. Self-service recovery allows the restoration of applications to begin the moment the customer wants without send emails or making phone calls, a far more efficient process. The second factor to consider is the process involved in preparing the application and cloud environment to move from backing up an application to hosting one. This may mean moving from backing up an application to hosting one. This may mean moving the application from its backup state to a live state, essentially in the time it takes to recover the application in their data centre. It may also mean potentially moving that application from a backup infrastructure to a compute infrastructure. How these processes occur really shouldn’t matter to the DRaaS customer, instead they should pay attention to the time it takes from initiation of recovery request to live and accessible applications. This method is fine for most applications, but for applications with large data sets it could take weeks for this process to complete, depending on the available bandwidth. If the business has a large application they plan to use in their DRaaS strategy then another form of transport may be needed, potentially shipping hard disk drives or tape media. Then the data can be overnighted to the data centre, restored and then again “quick-synced” with final updates. this on-site appliance as a host for the application rather than the cloud. The Hybrid appliance typically provides its own storage and compute so it should be immune from whatever caused the application outage. The problem is that not all DRaaS providers can leverage the appliance for recovery and hosting of an application. It is critical to ask the DRaaS provider if this is possible as it is the most logical place to recover and host an application in the event of a minor disaster. Another aspect of flexible recovery is to consider exactly what can be recovered. Many DRaaS providers can only host virtual machines that have already been virtualised and are being backed up as virtual machines. Some providers even require that a specific hypervisor be used, typically VMware. While VMware is certainly the hypervisor market leader, Hyper-V and Linux based hypervisor solutions are gaining popularity quickly. It is important to look for a DRaaS solution that can backup, recover and host bare metal servers across a variety of operating systems as well as virtual machines from multiple hypervisors. In fact, the worse the performance of the cloud hosted applications is, the more pressure there is on IT to re-establish the data centre quickly. To address this issue, many DRaaS provider limit the number of applications that a customer can instantiate at any given time. While this may not be an issue for some environments, many may require the need to have a dozen or more covered by the DRaaS strategy. It is important to understand what these limits are before entering into a relationship with the provider. Look for a provider that can deliver a simple and easy to understand pricing model. That model should include the price per recovered server or application, a cost or provision for a certain amount of testing per year and any associated costs to restore data. There may be also be an increased cost to run the application in the provider’s cloud for an extended period of time. Does the solution protect all your key platforms and applications? Does the solution create a local copy in addition to the cloud? Does the solution intelligently manage the size of the local copy? What is the total application recovery time? Is the DRaaS solution self-service or does it require vendor interaction? What is involved to move from a backup state to a live state? Have you clarified potential networking issues? What operating systems can be recovered? Can the local backup appliance be used for recovery? What are the performance guarantees for systems hosted in DRaaS cloud? What architecture does the provider have to meet this guarantee? What are the maximum number of VMs the DRaaS solution will allow? How long will the provider host your VMs? Is there an extended time penalty? How does the vendor manage failback (data shipping, reverse replication)? Does the failback process ensure no data loss? Is there an expectation of downtime during failback? DRaaS can provide many benefits to companies of all sizes. 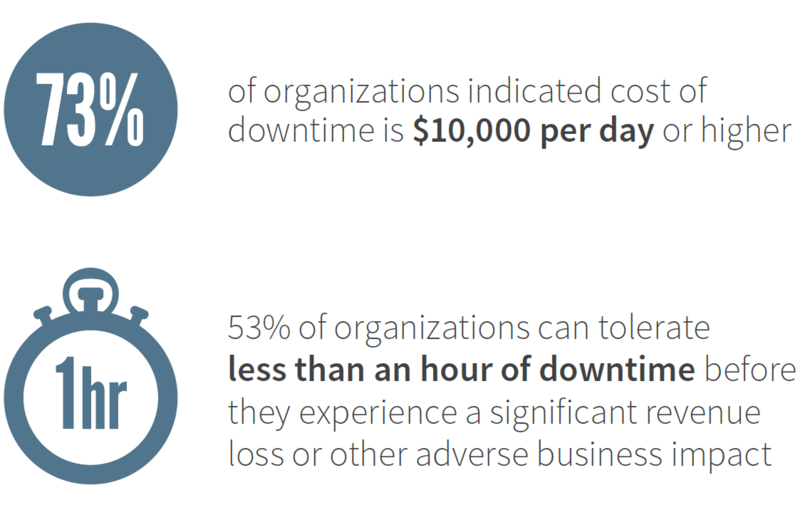 The cost savings of not having to maintain a secondary disaster recovery site and a recovery infrastructure can be significant. But the costs associated with DRaaS as well as its ability to deliver on your expectations vary widely between providers. 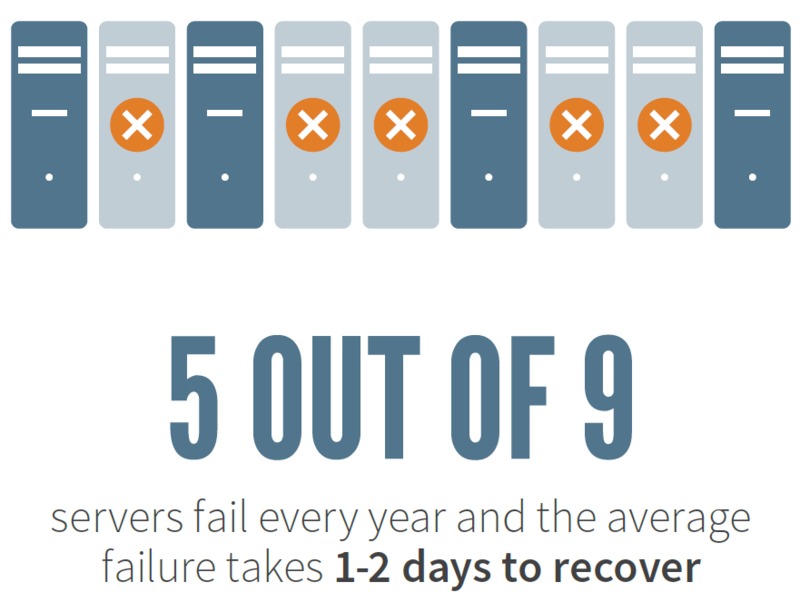 It is important to look for a solution that can deliver timely and self-service recovery, leverage on-site copies of data for recovery and not require 100% virtualisation in order to be effective.